This Slim Frameless LED Fabric Light Box Display is suitable for either protrait ( Vertical ) or landscape ( Horizontal ) orientation . Easy change our SEG printed graphics in minutes . display according to each display project . True, rich color is one of key advantages comparing to traditional fluorescent light boxes with our edge lit LGP led illuminated technology . 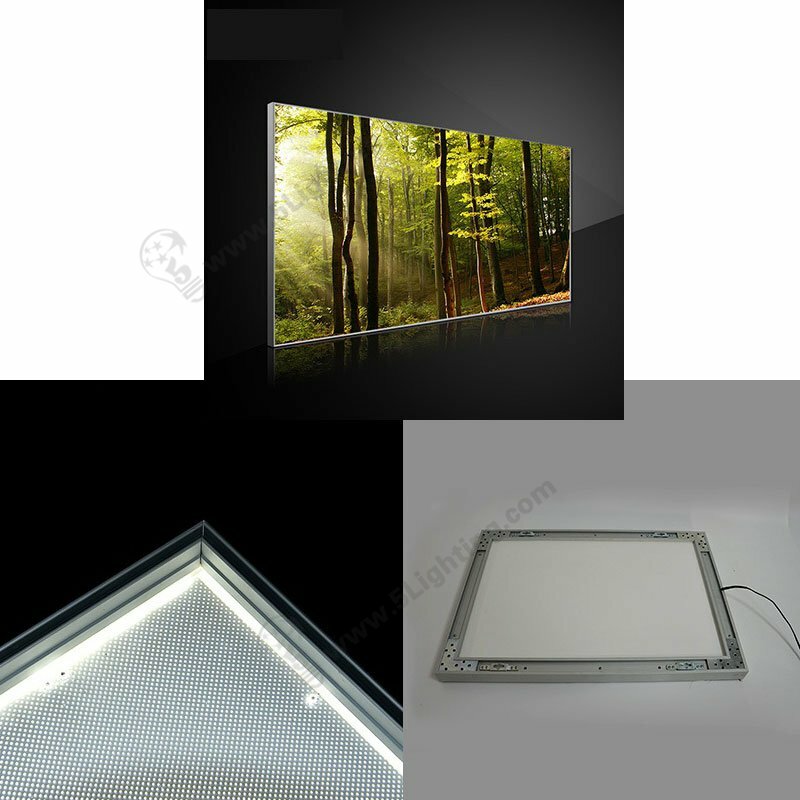 We produce high quality material of fabric lightbox with CE, SGS and RoHS certifications. The fabric aluminum frame standard finishes are anodized silvery with custom finishes and colors are available . 17mm deep “U” slot, design of saw tooth slot, ensure the poster is tightly installed . High strength material 90 degree corner pieces are tightly and firmly connected . over-current /over voltage protection, costant voltage output . ensure work safely and reliably . 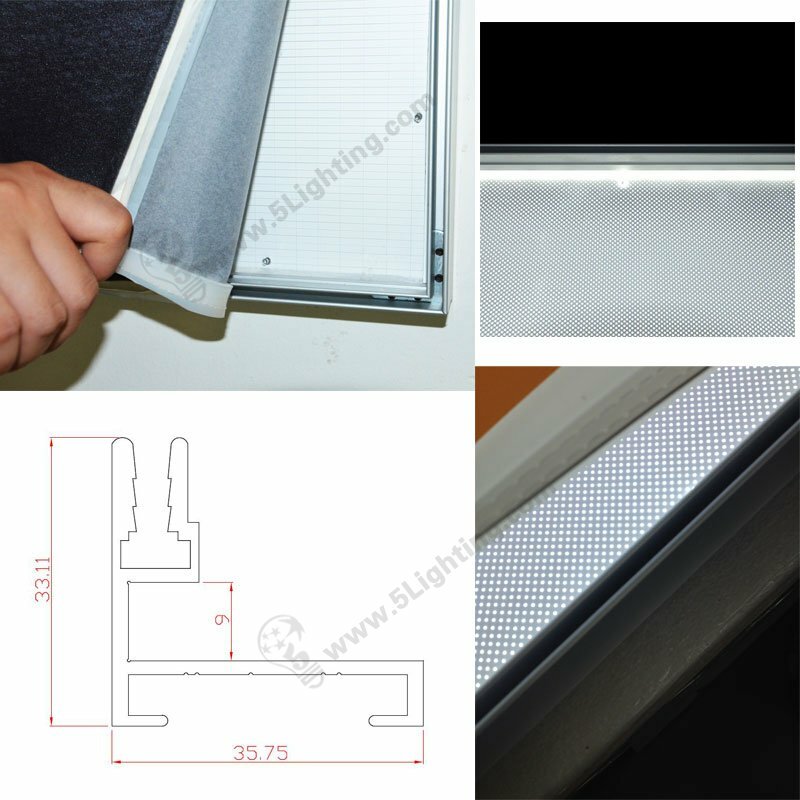 Slim strip power supply series are specially design to putting into light box and fixed to aluminum frame . Fame less light boxes are used for airports, expo halls … with large sizes require . Slim edge less led light box is lightweight, assemble / disassemble in a small space, can be wall mounting, hanging, free standing . We would very like to seek the way to be your supplier. Any of your inquiry will get prompt attention & reply.